To realize the potential of rendering its biodiversity, a new organization, IDSBA, Indonesian Society of Botanical Artists was formed, consisting of botanical artists and several amateur botanists working together to present Indonesia’s exhibition for Botanical Art Worldwide. Over 60 works featuring native Indonesian plants are included in the exhibition, to be held in the Bogor Botanic Gardens on May 18-20, 2018. It is a beautiful coincidence that 18 May 2018 is the botanical garden’s 201st anniversary, thus a series of events of the celebration will hopefully attract more people to see the exhibition. Some of the fascinating plants of Indonesia are in the exhibition, including the Titan Arum, Nepenthes jamban, Myristica fragrans (nutmeg) and 19 different orchids. A tropical archipelago of 17,000 islands lying between Asia and Australia gives Indonesia such a diverse and distinctive flora. Reputed to be the largest of all orchids with its immense leafy stems, each several metres long and a flower stalk that can be up to 2.5 meters, sustains dozens of flowers. Grows in Borneo, Papua and some protected forests in Java. Karyono Apic painted its showy leaves, long and big inflorescence, and fully formed fruits in its natural habitat. He has diligently painted more than 200 orchid species and most of them are endemic to Indonesia. For its unique characteristics, many people have exploited Dendrobium spectabile, causing it to become very rare. It is distributed along Papua and New Guinea, as well as the Solomon Islands, thriving in primary rainforests and mangrove swamps, commonly found at an elevation of 300-500 meters. Eunike Nugroho captured its unusual blossom in this watercolor painting beautifully. Her work was accepted to the Hunt Institute’s 15th International Exhibition of Botanical Art and Illustration in 2016 and became its permanent collection. She is also a member of American Society of Botanical Artists (ASBA). 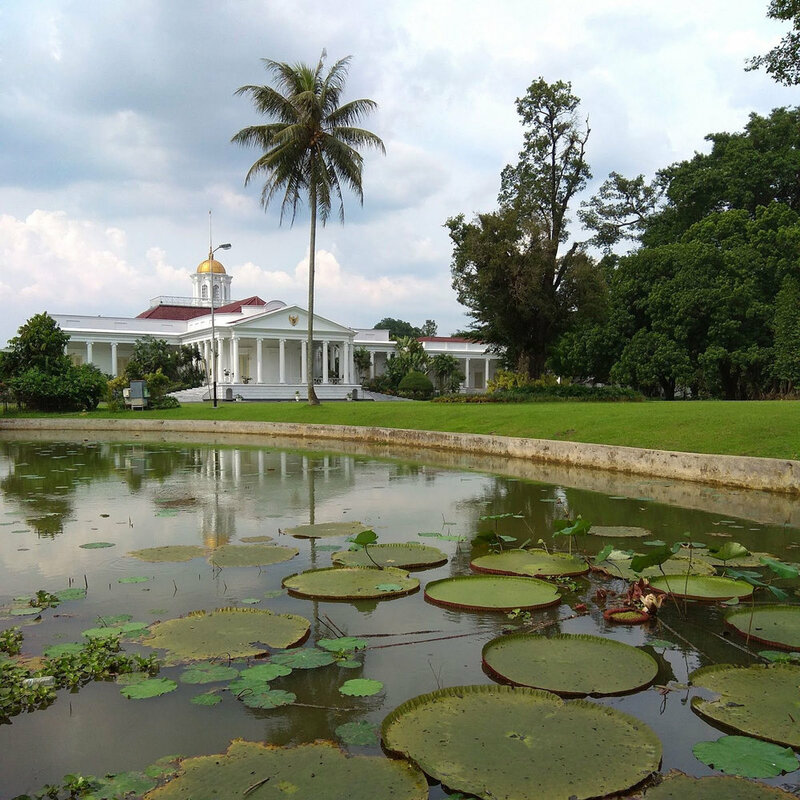 Bogor Botanic Gardens (Kebun Raya Bogor) is the oldest botanical garden in Southeast Asia. It was founded in 1817 and is currently operated by the Indonesian Institute of Sciences (LIPI). It covers an area of 87 hectares (210 acres), adjoining the gardens of the Presidential Palace. The precinct includes a laboratory, a library, herbaria, and guesthouses. Today the garden contains 13,983 specimens of trees and plants, belonging to 3373 species. The exhibition will be held at Samida, a new building within the Bogor Botanical Gardens.